Sometimes you have to keep your things secret, in these cases you can use ready-made algorithms as SHA or MD5. A retronym applied to the original version of the 160-bit hash function published in 1993 under the name "SHA". It was withdrawn shortly after publication due to an undisclosed "significant flaw" and replaced by the slightly revised version SHA-1. A 160-bit hash function which resembles the earlier MD5 algorithm. This was designed by the National Security Agency (NSA) to be part of the Digital Signature Algorithm. 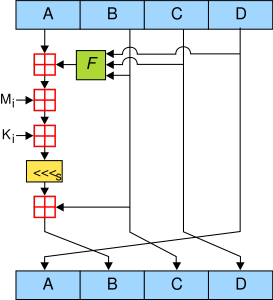 A family of two similar hash functions, with different block sizes, known as SHA-256 and SHA-512. They differ in the word size; SHA-256 uses 32-byte (256 bits) words where SHA-512 uses 64-byte (512 bits) words. There are also truncated versions of each standardized, known as SHA-224 and SHA-384. These were also designed by the NSA. A proposed hash function standard still in development. This is being chosen in a public review process from non-government designers. An ongoing NIST hash function competition is scheduled to end with the selection of a winning function, which will be given the name SHA-3 in 2012. The corresponding standards have been FIPS PUB 180 (original SHA), FIPS PUB 180-1 (SHA-1), FIPS PUB 180-2 (SHA-1, SHA-256, SHA-384, and SHA-512), FIPS PUB 180-3 (SHA-1, SHA-224, SHA-256, SHA-384, and SHA-512). The MD5 Message-Digest Algorithm is a widely used cryptographic hash function that produces a 128-bit (16-byte) hash value. Specified in RFC 1321, MD5 has been employed in a wide variety of security applications, and is also commonly used to check data integrity. MD5 was designed by Ron Rivest in 1991 to replace an earlier hash function, MD4. An MD5 hash is typically expressed as a 32-digit hexadecimal number. However, it has since been shown that MD5 is not collision resistant; as such, MD5 is not suitable for applications like SSL certificates or digital signatures that rely on this property. In 1996, a flaw was found with the design of MD5, and while it was not a clearly fatal weakness, cryptographers began recommending the use of other algorithms, such as SHA-1—which has since been found also to be vulnerable. In 2004, more serious flaws were discovered in MD5, making further use of the algorithm for security purposes questionable—specifically, a group of researchers described how to create a pair of files that share the same MD5 checksum. Further advances were made in breaking MD5 in 2005, 2006, and 2007. In December 2008, a group of researchers used this technique to fake SSL certificate validity., and US-CERT now says that MD5 "should be considered cryptographically broken and unsuitable for further use." 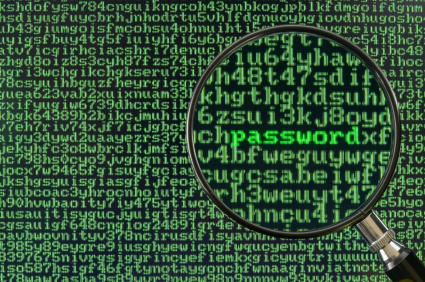 and most U.S. government applications now require the SHA-2 family of hash functions." MD5 and SHA1 belong to class of functions known as secure ONE-WAY hash functions. This means that the input is digested into a supposedly unique hash value. I say, “supposedly” as it has been demonstrated that more than one input can result in the same MD5 and/or SHA1 hash digest. So you cannot decrypt an encrypted string.